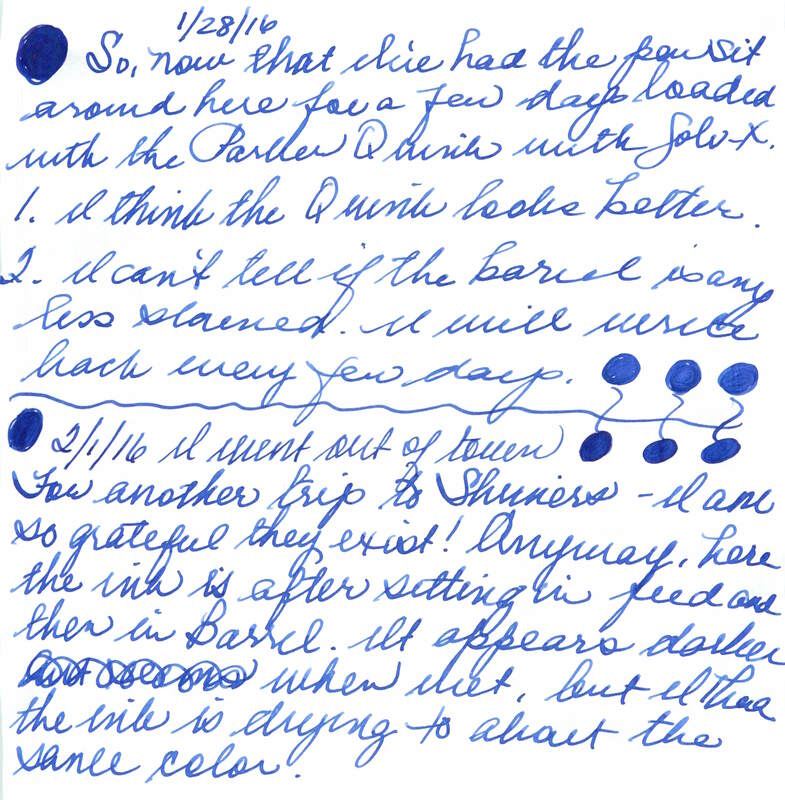 Back on topic, I seem to recall seeing a thread several years ago in which someone said that Quink Black was good for cleaning stains from other inks. So you might try that as well as Doyou and Noodler's Eel Red (Rattler? I've never tried any of the Eel series). Can you divorce him a second time without having to marry him again? I'm gonna be frank and say that I really enjoy the blue barrel color! It looks pretty and I would get a pen that comes like that. I have to agree, the blue stained barrel looks rather nice. It is kind of pretty. I wish it were more consistent. I don't think you can get them any more, but there was a model of the Vac 700 with a barrel just that colour. I think you need to pull it apart, soak the whole thing in BSB, and then she'll be right, mate. What happened to Rattlers Red as a cleaning agent? I had one of the blue, it was a little different. Maybe I'll send this to you for a little visit. I promised DCWaites that I would no longer make him wait when he sent me an ink to try. So, this one got the first crack. I have a Jinhao coming back also stained with BSB (same ex husband), and I'm going to try the Rattler Red on it. I think someone will come forward with a third BSB pen and we can try Sailor Do You on it. I just thought that perhaps RR had lost it's magical properties overnight. I remember they discontinued it a while ago, right when I wanted one. I think it was a much darker color though. Now I HAVE to find out what happened! To the Sapphire Vac 700s or to my ex-husband? I guess you can lend the evol ex another pen... So you'll have a third BSB-stained pen. While that's one way to accomplish it, I'm just sort of hesitant. I can't imagine why. Alternatively, Amber could only go for All Matt Black pens. If BSB can stain those, it is truly magic. Ok, Vlad, where did you get that cleaner? Is it safe for the rest of the pen? 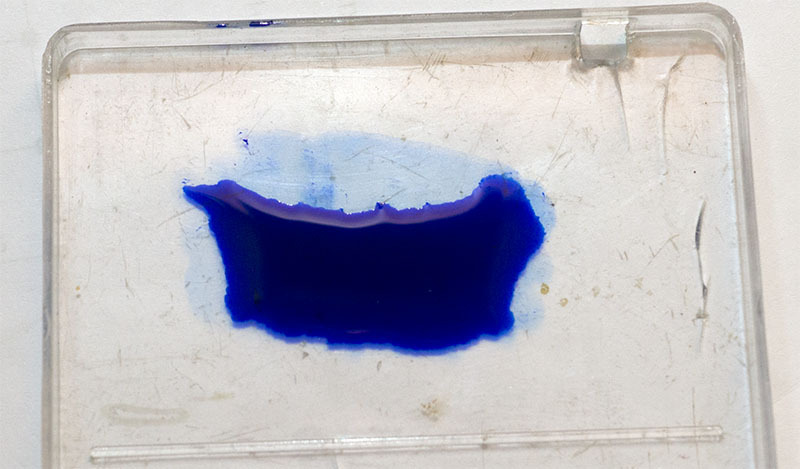 As for the rest of the experiment, the goal is to see if another ink really will remove stains. Just fill a glass of water, a few drops of bleach, a drop of dishwasher fluid, mix well and fill the pen. 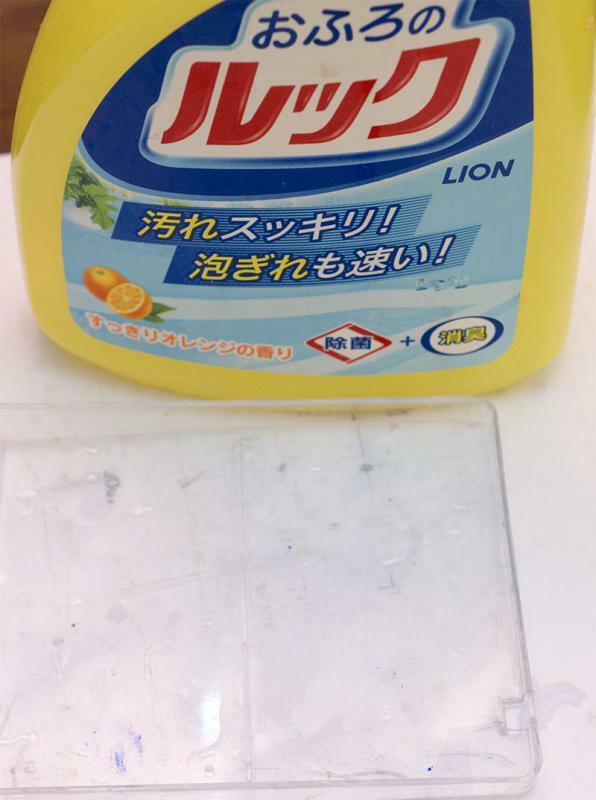 Rinse when the stains disappear. And sue your ex!! I will upload pictures this week. the stains are GONE. I didn't even get a chance to show the process because Evol kept refiling. He moved on from Quink with Solv-X to vintage Sheaffer's Blue Black. You can't tell the pen was ever stained.